Naruto Shippuden 285 moves away from the main characters to explore some which are as interesting but not yet known to us. We discover Pakura, the Scorch Style as well as her student Maki. They both had a past in which Pakura trained Maki to become a fine Ninja. At this moment, Pakura is absolutely proud of her that she asks for her to move away. 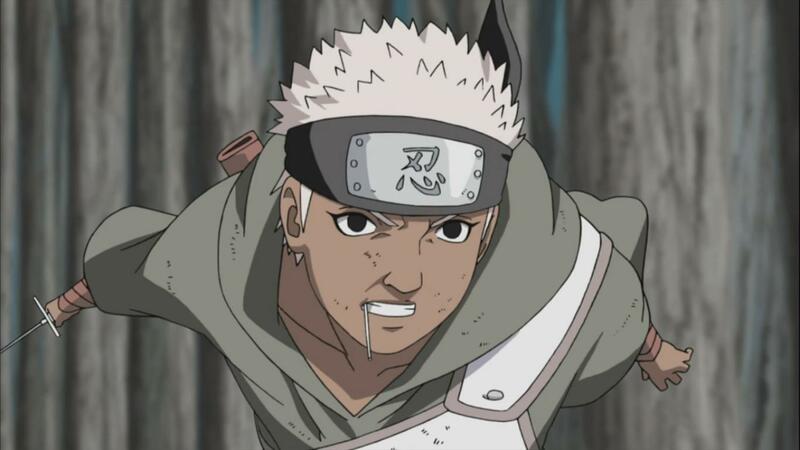 Naruto Shippuden 285 starts off in the past when Pakura the Scorch Style is being introduced to everyone as a successor as she had defeated and thus is now called a hero. After some time, she’s faced by younger Maki where she asks to be trained. They both go to train for a little while. Pakura says that she will be a strong shinobi when she grows up. At a meeting, the heads of the village decide that they will need to send and use Pakura once more for the sake of the village. After some time, Pakura dies as she fought until the end, Maki cries at her grave after her death, we hear a man says that they must destroy the Hidden Stone Village as they will carry on Pakura’s will. We return to the battle where Fuguki Suikazan is fighting the other shinobi’s. They are all getting pretty battered as will as easily killed by Fuguki. We also notice that Maki is waiting for her moment to help out, Captain Monga is there to help out anyone who needs his help. They receive report that the enemy are using guerilla techniques. Maki tries to help but Monga tells her that it’s not the time to help at this point, plus the Sealing Corps are the most useful at this point. Ruka tells Maki to also calm down, Monga also says that he’s ready to give up his life, Ruka also says the same thing. Omoi and Zaji keep on fighting Fuguki. Somewhere behind, a man is attacked by Gari the Explosion Style Shinobi. He appears and tells them that they’ve got no chance because of their guerilla tactics, they are going to dominate by taking out the support first. At this moment, both Monga and Gari talk. 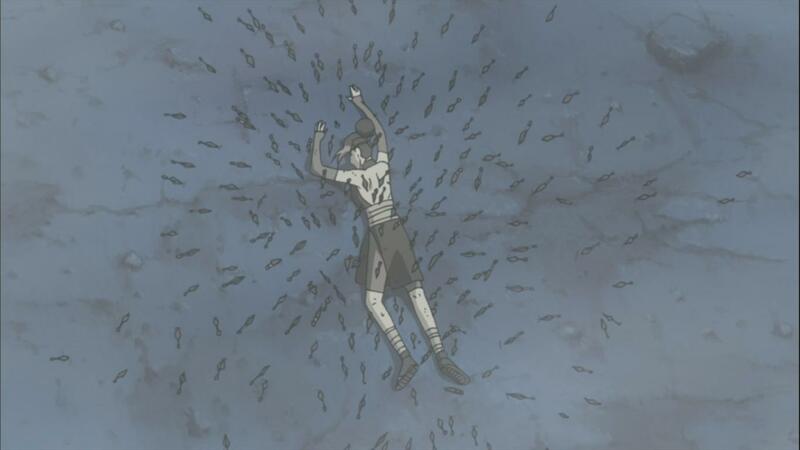 Monga uses his technique in which creates a wall of explosions scattering the body of Gari, this makes him go unconscious for a bit as he’s body is out of action, it will take him a while to get back into action. Monga asks Maki to quickly seal him when a red circle appears within Monga and he starts to die. Maki notices that Pakura has arrived. Pakura notices that Maki has grown up. Maki asks why she’s not able to just die with her own will. 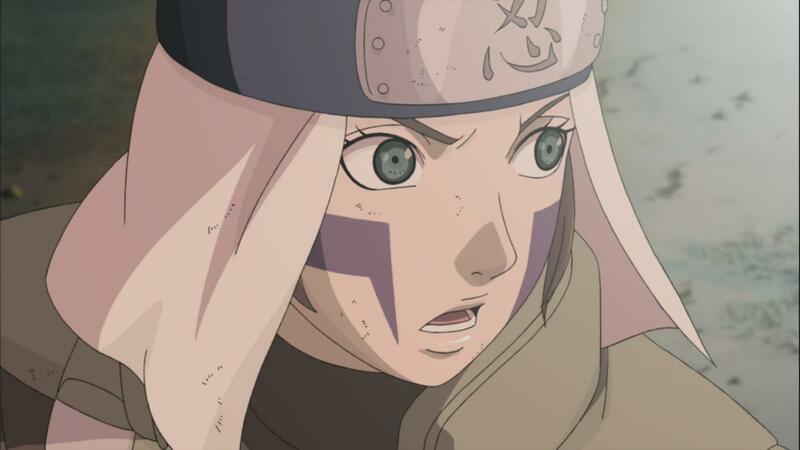 Pakura describes that she has come alive in order to vent the frustration she has because she was failed by the Sand Village as she was used as a pawn. She describes that one day she was asked by the Sand Village to go to the Mist Village to do something, but during the way she was betrayed by the man helping her as she was stabbed in the back. She quickly realized that she was used as a pawn by the Sand Village as well as a sacrifice so that they don’t attack each other in the future. Maki explains that even if that happened that was in the past and now the new Mizukage is better and wouldn’t do something so stupid. Maki tells Pakura to give up because all of that was just in the past because the Allied Force is actually a way for them to understand and communicate. Pakura gets angry at Maki and shouts at Maki. She starts out by releasing her technique, Maki quickly uses her technique to disappear from the place. 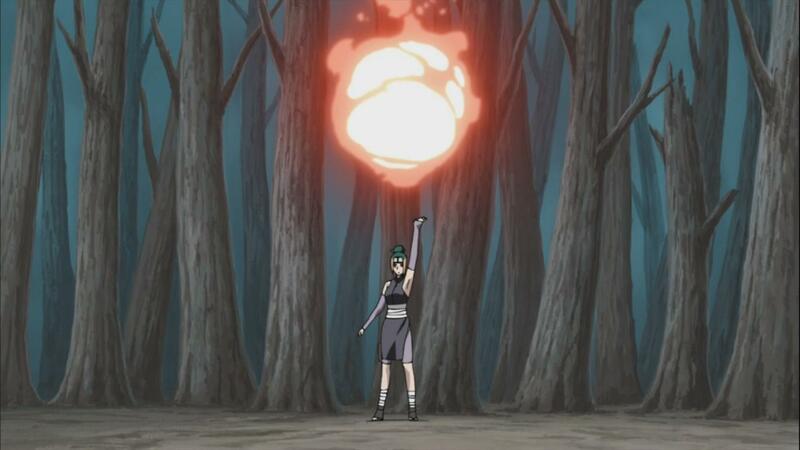 Pakura uses her jutsu to join the balls to create a large round in which she can burn a circle so she can see better. Maki uses her cloth. Pakura finds them, Maki quickly tells her that she cannot erase the past, her experience with the Allied Force will be a good once because all the villages are participating in order to succeed in the war. Pakura no longer cares and creates a fire-ball when Omoi and Zaji show up. Omoi and Zaji are ready to fight, Maki and Ruka are also ready to help out. They keep on fighting. When Pakura nearly get Omoi in the fireball. Maki keeps on trying to get Pakura when Omoi goes for an attack, Pakura creates a large fireball, as they get closer, Ruka uses her water style to turn that large ball into steam. Omoi quickly attacks but misses. 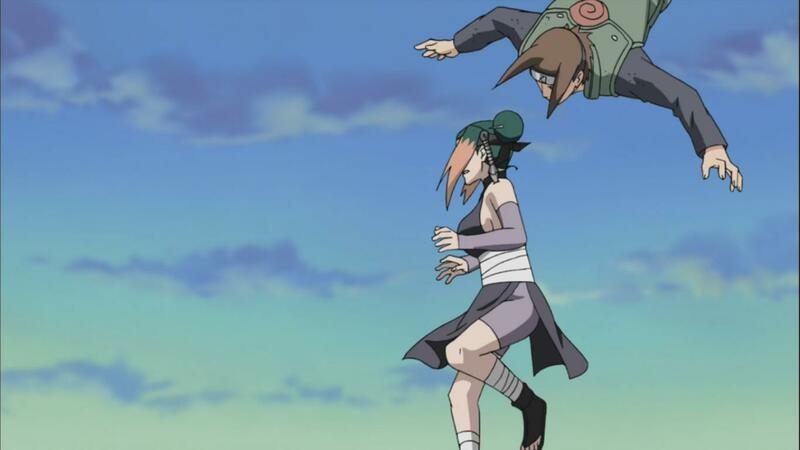 As she jumps, Zaji appears and sticks a explosive tag kunai on Pakura, she looses an arm, Pakura’s leg is then captured by the cloth technique which Maki uses. Gari shows up and breaks the cloth. They all find out that this is a bad thing for them. Gari says that he will be taking out the support first which are Maki and Ruka out, Pakura notices that both Omoi and Zaji are going to help Maki and Ruka no matter what they’re going to, Pakura notices this and quickly creates four fire balls which surrounds Gari. She quickly says for Maki to run while she’s still conscious. They run because they realize that they’re not going to be able to go against both of them. 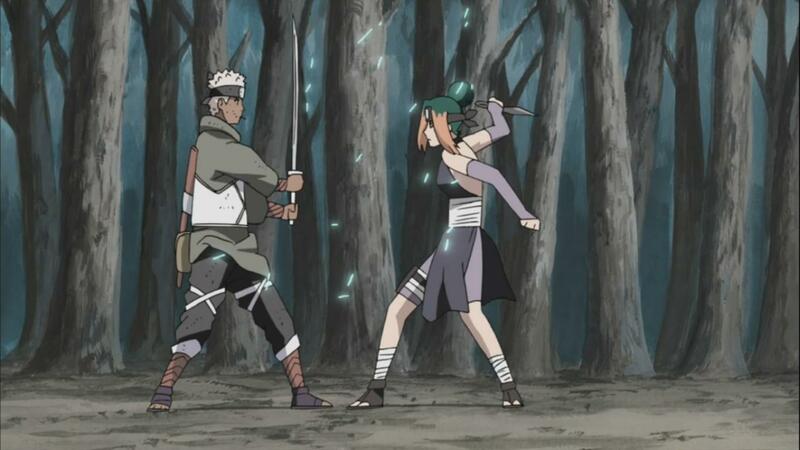 While they both convert themselves by the actions of Kabuto, Gari says that she’s always wanted to fight Pakura. Both of them convert into lifeless beings. We see all of them save and trying to contact HQ, we see Maki lay down and pray, possibly for Pakura. 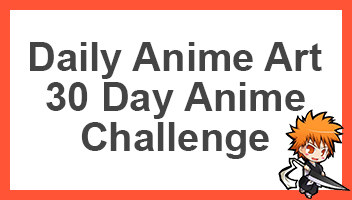 Naruto Shippuden 285 ends here. 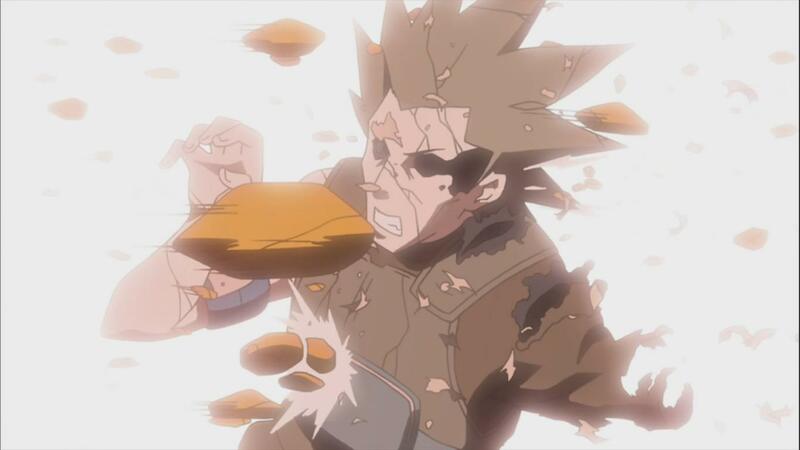 A good episode after all, even if I don’t have much interest in the current characters they were nicely portrayed and they’re possibly going to have to fight Gari and Pakura, possibly in the near future. Can’t wait for next week’s Naruto Shippuden 286, titled “Things You Can’t Get Back”, when we go back in time to see a few things about Tsunade and the Raikage. Quite a nice episode cant wait to see a past of the riakage and tsunade. Yeah that certainly seems like an all right episode, although I think that they both had something before or something similar to a relationship lol, although these are just more fillers..